New Magazine Takes A Grown-Up Look At Adoption : The Two-Way The complex and interconnected topics of adoption, race, and culture will form the backbone of a new online magazine that is starting this week. Gazillion Voices was begun with those goals in mind, says Kevin Vollmers, who created the magazine as an extension of his blog. 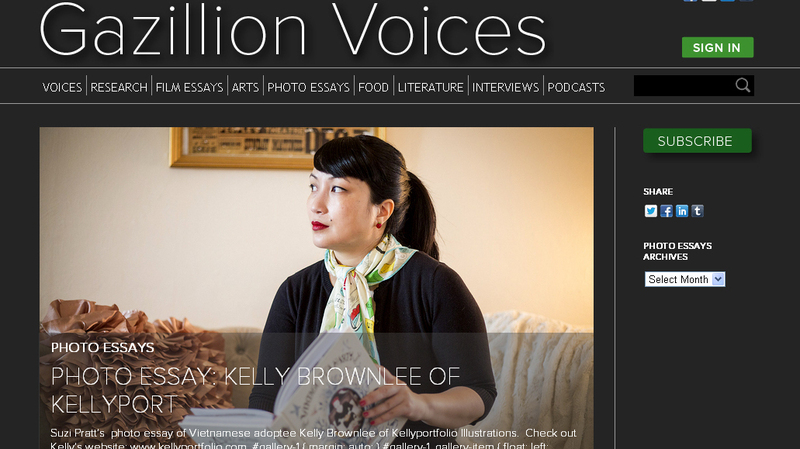 The new online magazine Gazillion Voices was begun in the hopes of shaping a new national conversation on adoption, the website says. The complex and interconnected topics of adoption, race, and culture will form the backbone of a new online magazine that is starting this week. Gazillion Voices was begun with those goals in mind, says Kevin Vollmers, who created the magazine as an extension of his blog, Land of Gazillion Adoptees. Part of Gazillion Voices' mission, as Vollmers tells Laura Yuen of Minnesota Public Radio, is to tell the stories of adult adoptees. "That's one of the biggest things about adoption that people forget to think about," says Vollmers, who lives in Minneapolis. "We actually grow up and make something of ourselves. We have kids, we have families, we have our own professional lives." As Yuen reports, Vollmers "was born in South Korea and adopted at age 7 by a family from western Minnesota." Vollmers says the new magazine will focus on success stories, as well as on stories that challenge the way many people view adoption. And it will discuss the way adoptive parents are prepared — or aren't — to raise children who are of a different ethnicity. "If you are going to place an African-American child in the middle of nowhere in northern Minnesota where they are going to be the 'diversity,' you best make sure there are resources available for those kids," he tells Yuen. As it begins, Gazillion Voices is using a subscriber model online, requiring monthly or annual fees to view most of its content.